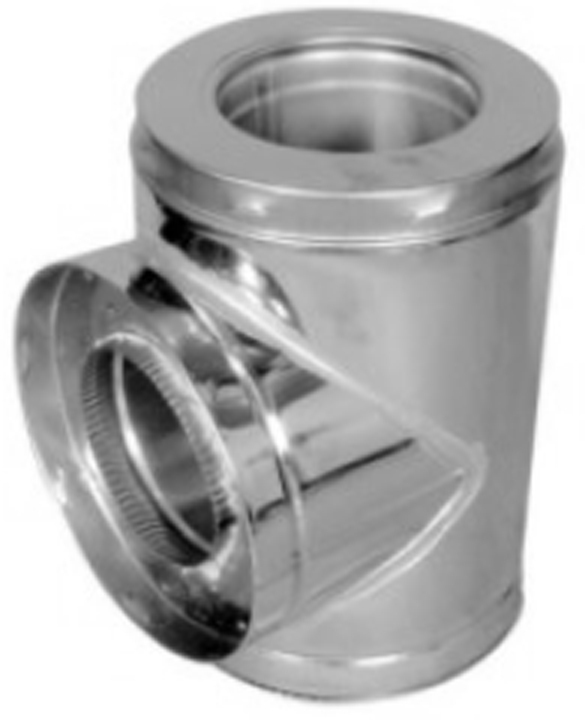 The insulated chimney tee may be used for through-the-wall installation, using a wall support. A chimney length is required to pass safely through a wall. 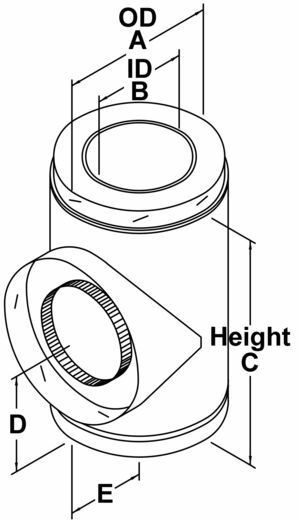 5" to 8" sizes have an uninsulated (single-wall) twist-lock tee cap for non-wall support applications only. 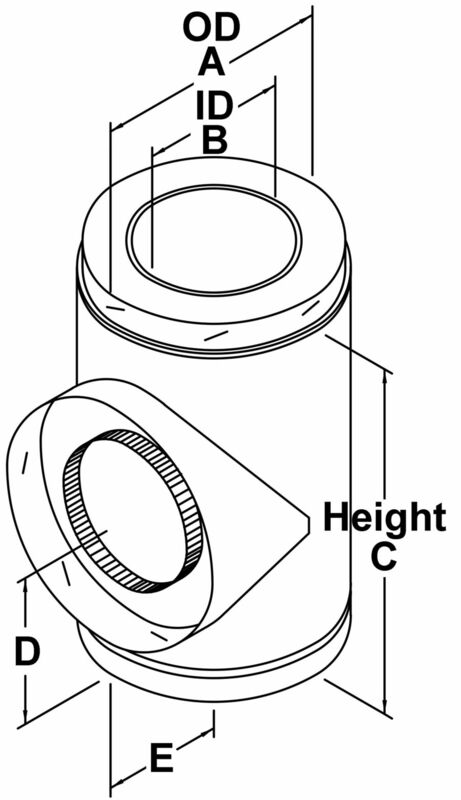 10" to 14" sizes have an insulated press fit tee cap.